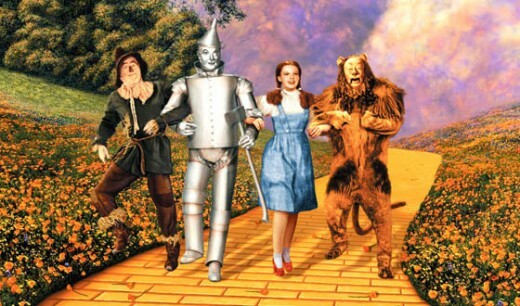 Follow the Yellow Brick Road…The Wizard of Oz and Coronado! On the heels of today’s premiere of the new Disney movie “Oz The Great & Powerful,” I thought it might be fun to spotlight Coronado’s remarkable link to author L. Frank Baum and his famous Wizard of Oz book series. 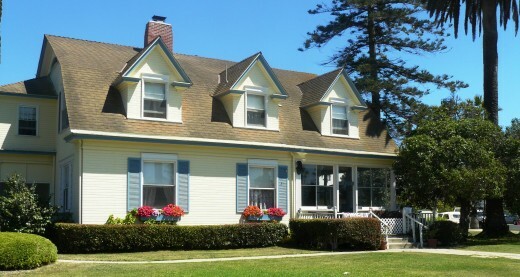 Between 1904 and 1910 Baum and his family frequently vacationed in Coronado, located a bridge away from downtown San Diego. He was so fond of the island’s magical setting, that he wrote several of his Oz books here. 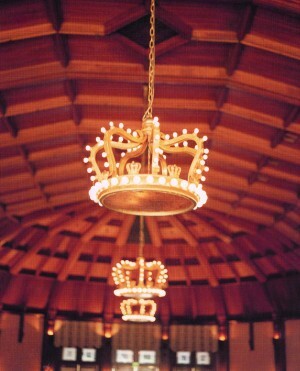 Crown Room chandeliers by Baum at The Del. The Del’s grand Crown Room is home to four spectacular crown-shaped chandeliers designed by Baum; his lasting legacy to the hotel he loved so much. L. Frank Baum’s home on Star Park Circle. The charming yellow house he rented on Star Park Circle is where he wrote several Oz books: Dorothy and the Wizard of Oz, The Emerald City of Oz , The Road to Oz and parts of The Marvelous Land of Oz. From the sidewalk, you can spot the face of the Wicked Witch peering out from the side of the house. Please Note: This is a private residence, so please be respectful to its occupants and view the house from the sidewalk. 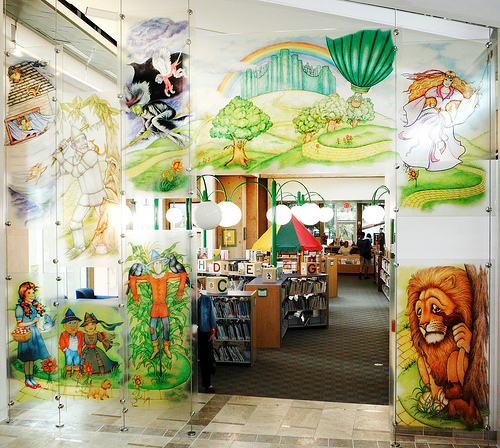 Wizard of Oz glass panels at Coronado Public Library. The Wizard of Oz Glass Art Exhibit at the Coronado Public Library is where Baum’s storybook jumps off the pages onto nine huge glass panels depicting Dorothy, the cowardly Lion, Scarecrow, Tin Man, Glenda the Good Witch, Munchkins and more. Check out three rare first edition Oz books by Baum on the “Celebrities” wall at the Coronado Museum of History and Art on Orange Avenue; admission is free. 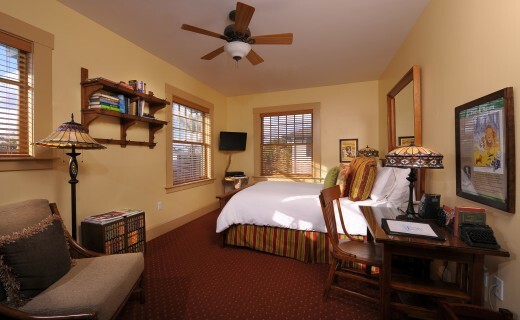 “There’s no place like home…” in the Author’s Study at 1906 Lodge. 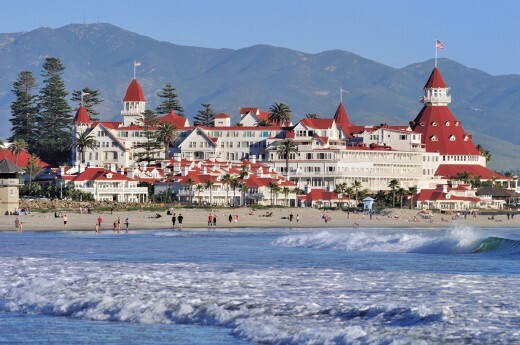 In addition to spending the night at The Del, celebrating its 125th anniversary, guests can rest their heads in the Baum-inspired “Author’s Study” at 1906 Lodge at Coronado Beach, featuring framed art prints of the glittery Ruby Slippers, Dorothy and the cowardly Lion and the classic front cover of The Wizard of Oz book, plus an autobiography on Baum and a writing desk with antique-looking typewriter bookends. This spring, ease on down the road to Coronado to discover our merry little land of Oz! While you’re there, why not catch a screening of Oz The Great & Powerful at the beautifully restored Coronado Village Theatre. 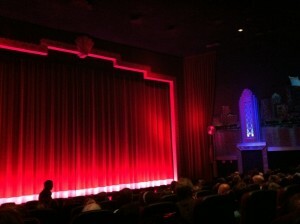 All revved up to watch "Cars 2" in Coronado! The Village sign twinkled like a beacon in the night, beckoning me closer as I breathed in the tantalizing aroma of fresh-popped popcorn. Ticketholders queued down the block and my heart skipped a beat in anticipation of the movie magic which awaited me inside. There are 195 plush seats in the main theater. The grand opening was a star-studded affair…well, San Diego-style with local “stars” like Dave Scott, KUSI TV’s popular morning weatherman, Chris Morrow, a CNN reporter who, coincidentally, lives in Coronado (click here to see her story), Coronado’s Mayor Casey Tanaka and other local VIPs. We enjoyed a preview of summer blockbusters in spectacular 3-D, plus an Oscar-winning short film on the first 100 years of motion pictures. 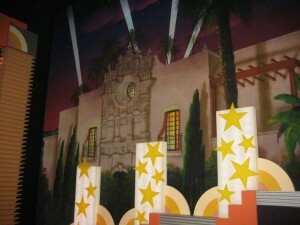 Village Theatre mural depicting Balboa Park. Other notable guests joined in the festivities and were congratulated for their incredible transformation of this landmark movie house. One was Bill Anderson, a Disney artist and muralist extraordinaire who created the theatre’s stunning 3-D like murals of Coronado and San Diego scenes, including the Hotel del Coronado, Coronado Ferry Landing, Balboa Park, San Diego Bay and the downtown skyline. Hotel del Coronado stars prominently in the murals. There was also Lance Alspaugh with Vintage Cinemas. 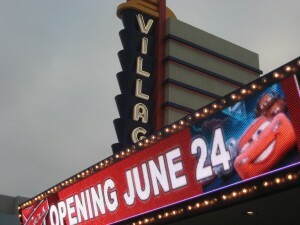 He orchestrated the renovation of this movie gem for locals and visitors to enjoy for generations to come. Mayar Tanaka presented him with the gold key of the city. The San Diego Union-Tribune did a fantastic story on the opening, plus a colorful photo gallery. Shout out to NBC Los Angeles for their “Worth the Drive” spotlight on our theatre star rising again! 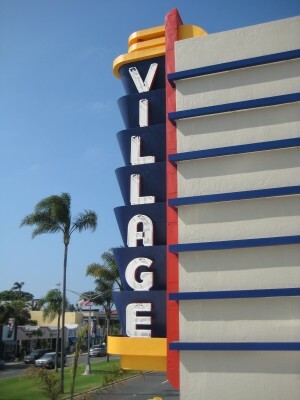 I’ll see you at the movies, on Coronado island! Bargain Shows before 6 p.m. are $8.50. Posted on July 23, 2010 by Katie S.
A version of the recently opened Disney California Adventure show “World of Color” is being projected onto the side of the USS Midway Museum at Navy Pier now through July 25 starting at 9:00pm! 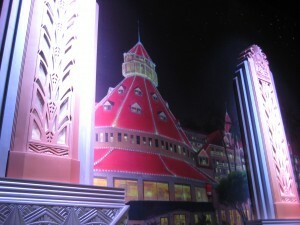 In each of the four California cities of the Road Show, specially produced animation is projected onto a familiar landmark, using a mixture of special effects, high-tech projections and a storytelling theme. The theme of the San Diego stop is “Water,” illustrated by scenes from such Disney films as “The Little Mermaid” and “Finding Nemo”. Check out this You Tube video of last night’s performance!